4 Bats, 4 balls, 4 bases and bag to carry them. 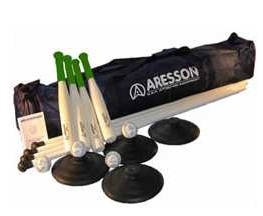 Rounders Set - £30.00 weekend hire rate. To hire a Rounders Set or for more information please contact us. Please ask for details as costs are influenced by the products hired, delivery location and duration of hire.